The Marine Turtle Rescue Centre can accommodate up to eight turtle patients at a time. Now you can adopt one of them! Depending on their injuries, our turtle patients stay anywhere for a couple of days to several months; the longest staying patients are those suffering from buoyancy syndrome such as Penny. She was with us from May 2017 until March 2019! Our aim is to rescue, rehabilitate and release all our turtle patients: sadly, some do pass away. By adopting one of our turtle patients, you will help pay for medication, medical equipment, food and transport for patient. You will receive an adoption certificate with the history of how that turtle came to our Rescue Centre and updates on how his or her recovery is going. You will also be notified in case of a live release to be broadcast on Facebook. 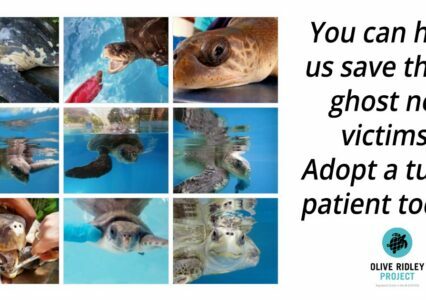 Once we receive confirmation of the donation and your adoption form, we will issue the adoption certificate with details about the turtle patient to you or the gift recipient. Please allow 7 days for the issuing of the certificate. Your kind donation and symbolic turtle adoption ensures that we can continue to provide the best possible care and the necessary medicine to heal injured sea turtles back to health.